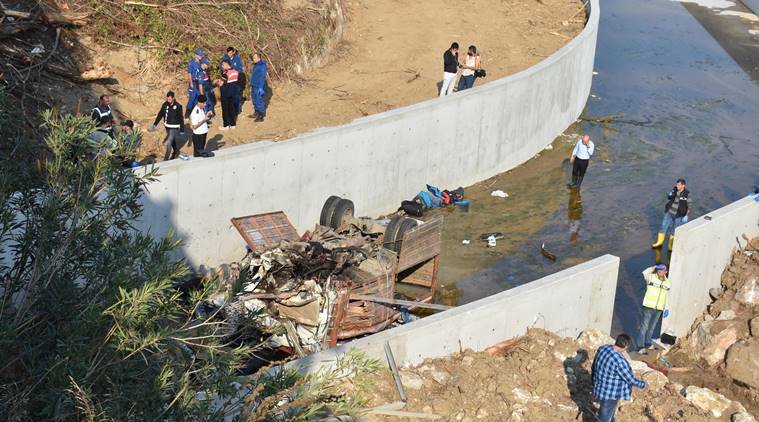 The Anadolu news agency said the migrants were traveling in a truck in the western province of Izmir that rolled over off a bridge. Video footage showed a destroyed truck, tipped upside down in a waterway with personal items scattered all around. 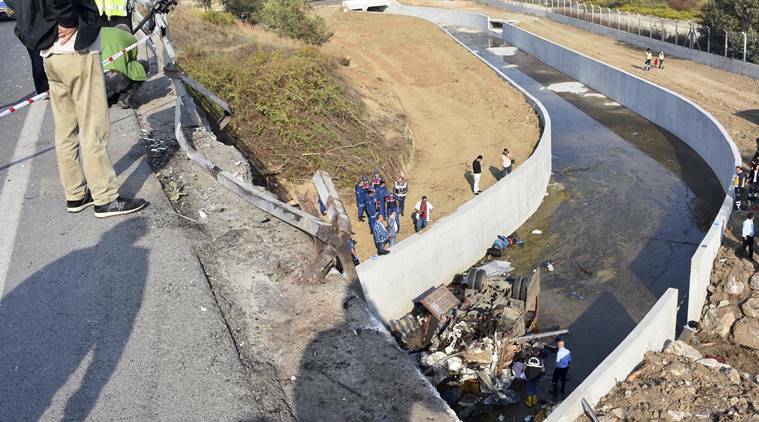 Istanbul: At least 22 migrants, including children, have been killed in a truck accident Sunday, Turkey’s official news agency said. Thirteen people were injured in the crash and were being treated in nearby hospitals. Their nationalities were not given and authorities have launched an investigation. Turkish media reported the driver was among the injured and said in his initial statement to police that a car had swerved in front of him. Hundreds of thousands of migrants have set out to sea from Turkey’s coasts in the last few years to try to reach neighboring Greece, which is a member of the European Union. A deal with the EU in 2016 to send those migrants back to Turkey significantly curbed the number of border crossings but many desperate migrants still attempt the journey.